The peaceful protests that started in 2011 to topple the regime of Syrian dictator Bashar al-Assad and the violent conflict that ensued left Syria completely destroyed with over half a million killed, 12 million displaced and 75,000 people gone missing or forcibly disappeared. Regrettably, most of these victims will remain anonymous at least to the outside world, whose short attention span and lack of support for the legitimate demands of the Syrian people allowed Assad to kill with impunity. Yet, some of those killed or abducted in Syria have left traces of their names and faces as a reminder that the end to the war in Syria, contrary to what Assad and his Iranian allies may be peddling, can only come when justice is served and the fate of the missing is fully revealed. 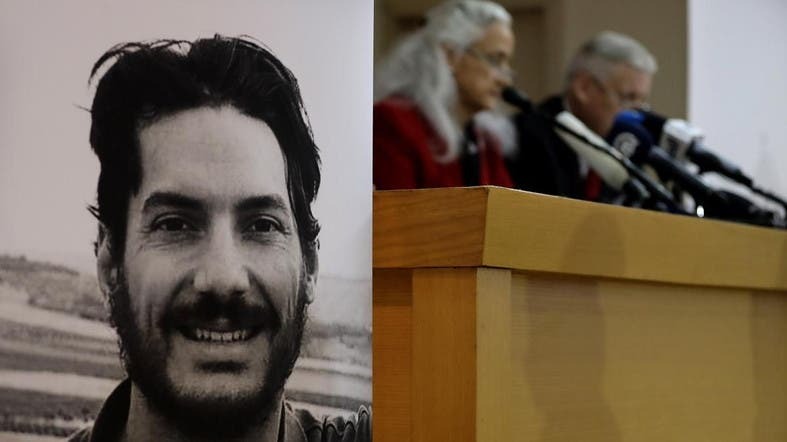 Such is the case of Austin Tice, a freelance American journalist who has worked for the Washington Post and other media outlets, who was abducted in Syria in August of 2012 in Daraya, a suburb of Damascus. I never met Austin, although we both studied at Georgetown University. I have followed the case of this brave young journalist who felt it was his duty to report to the wider world what was happening in Syria. According to his parents, Marc and Debra, whom I had met twice during their recurrent visits to Beirut to champion their son’s cause, Austin (a former Marine Infantry Officer and a model student) felt it was imperative to suspend his law school education and make the perilous trip to Syria, where he was embedded with the rebels fighting the Assad regime and his Iranian patrons. Tice’s brave decision might be very hard to grasp by many who cannot relate to why Austin — a poster child of American values with a bright future ahead —would leave his easy life behind to sleep in the trenches and the bombed shelters of Daraya, skirting death and injury. While Tice’s abductors technically remain anonymous, none who is familiar with the Syrian regime's tactics would think twice about who the perpetrators are. Such a crime clearly bares the marks of the Assad regime and its henchmen. Shortly after Tice went missing, a video surfaced showing him in a rocky mountainous area, being dragged by an execution squad of masked men wearing pristine Afghani style apparel and chanting ‘Allah Akbar’ (God is Great). This theatrically staged recording simply underscores one of the essential talking points of the Assad regime, that Syria is the target of an international conspiracy that uses Islamic terrorist factions bent on destroying his so-called secular, liberal regime. Over the years, the Assad regime has honed its skills in manipulating the West by presenting itself as the only barrier preventing anti-western religious fanatics from assuming power. Austin Tice is certainly not a captive of an Islamist opposition group, nor was he apprehended by one. The vicinity where his taxi was intercepted was under the control of the regime forces and their various security agencies. These forces have had a celebrated past in keeping people captive and to be used as bargaining chips when the time is ripe to cash them in. The entirety of Daraya, the site of Tice’s abduction, has been reclaimed by Assad’s forces and thus the Syrian regime can no longer avoid either releasing Tice or fully disclosing his fate. Naturally one would ask why the Assad regime has been apprehensive about divulging the fact that Tice is in its possession and is not allowing unofficial back channels to negotiate his release. Assad believes that the US government will not hold him accountable for these crimes and thus it is permissible to play the waiting game, until Tice can be used as a card for Syria reentry into the international community. Just like the Syrian people he came to support, Tice is not merely a victim of Assad’s cunning, but also of Obama’s disappearing red lines. Assad’s crimes have been allowed to continue partly because the media has allowed for the abduction of Tice, and the regime's gassing and bombing of innocent civilians in many of the Syria's towns and villages, to become unworthy of their coverage. Sadly, the Washington Post, whose motto “Democracy Dies in Darkness” has allowed its fixation with Trump and his populism to distract from its duty to help bring Tice home. A mission that can only be fulfilled when Assad and his Iranian patrons are prohibited from spinning the news and using the media to peddle that the region is better off with them around. 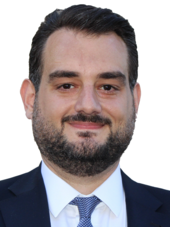 Makram Rabah is a lecturer at the American University of Beirut, Department of History. He is the author of A Campus at War: Student Politics at the American University of Beirut, 1967-1975. He tweets @makramrabah.